The Drum Corps International World Championships is the pinnacle of the annual DCI Tour, a series of more than 100 live competitive events that take place across the United States from June through August. The DCI World Championships mark a week-long celebration of the "very best" in the world of marching music. In 2018, more than 40 drum and bugle corps will compete for the Open and World Class World Championship titles. The 2018 Drum Corps International World Championships will kick off in Michigan City, Indiana, with the Open Class Prelims on August 6 and the Open Class Finals on August 7. The competitive action then heads to Lucas Oil Stadium in downtown Indianapolis where prelims, semifinals and finals events on August 9-11 will culminate with the crowning of the 2018 medalists. Saturday morning will be a festive time in downtown Indianapolis when non-finalist corps and additional groups perform exhibitions and participate in spirited SoundSport and DrumLine Battle events. Special discounted ticket rates for the DCI World Championships are available for groups of 20 or more. DCI Championships provide band directors an excellent opportunity to motivate their students through the outstanding live performances that only DCI corps can deliver. Contact the DCI Group Experience Specialist at 317-275-1212 ext. 33 for details. The competing drum & bugle corps are typically independent, non-profit organizations that are not affiliated with a specific school. Corps draw their members from the regional, national and even international level with members ranging in age from 13 to 22. Most of the students have gained experience in their high school or college marching bands. Corps hold auditions in November and rehearse monthly during the winter to prepare for the summer tour. • Tickets for most of the summer tour events and the Open Class Prelims and Finals in Michigan City, Indiana, are available through the Drum Corps International Box Office. • Tickets for events taking place at Lucas Oil Stadium in Indianapolis, the Alamodome in San Antonio and the Georgia Dome in Atlanta are available through Ticketmaster. • Tickets are also available at the door on the day of the show. • The Festival Marketplace  located in expo halls on the field level of Lucas Oil Stadium  is the place where drum corps fans can check out the latest merchandise from their favorite corps, the DCI collection and DCI sponsors. 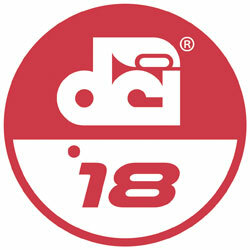 • Family, friends and fans may take still photos of DCI events for personal use only. The images may not be sold or otherwise distributed on a Web site or in print, without the written permission of Drum Corps International or the corps that was photographed. • Small, nonprofessional, single frame "point & shoot" and digital cameras are allowed into the venue. Please be considerate of the performers and the fans seated around you. Professional cameras or cameras with lenses longer than six inches are prohibited, and all forms of video and motion picture cameras and sound recording devices are strictly prohibited. Tripods or other similar equipment that may obstruct the view or path of travel of others in the stands are also not allowed. From modest beginnings more than four decades ago, Drum Corps International (DCI) has developed into a powerful, nonprofit, global youth activity with far-reaching artistic, educational and organizational influence. Through the annual DCI Tour and more than 40 World Championships in 17 North American cities, Drum Corps International provides entertainment to millions through live performances and nationally-televised events. Drum Corps International is Marching Music's Major League™. For more information visit DCI.org.